Smartphone apps that actually pay you! As a stay at home mom, I know what its like to need to earn some extra cash without really having any extra time! Unfortunately, most of the jobs available online require more time than a typical SAHM has to give! ENTER –> Smartphone apps that pay. Because I absolutely hate when I click into a list to find that there is actually NOTHING new or helpful there, I decided to make this list as LARGE as possible so that you can find something to fit your life! Keep in mind: you should always read reviews before signing up for any programs like this! Although I tried my very best to make sure that this list is SPAM free! Some of the Links below may be affiliate links. I may receive payment for you signing up at no cost to you. These apps pay you for doing shopping. Many are mystery shopping positions where you are paid to purchase specific items or take pictures of displays. You then write up your finding in a review and submit it for payment. Other apps in this list simple pay you a reward/rebate for purchasing specific items that you likely would have purchased anyway! Survey apps can be a real pain. But if you stick with them long enough, you get a feel for how they work and can really earn a little extra on the side! You earn money for watching videos, filling out offers, taking surveys, playing games, or other miscellaneous tasks! Selling your stuff is one of the easiest ways to make some extra cash! The apps below offer everything from selling stock photos to taking pictures of help wanted signs! There you have it, ladies and gentlemen. 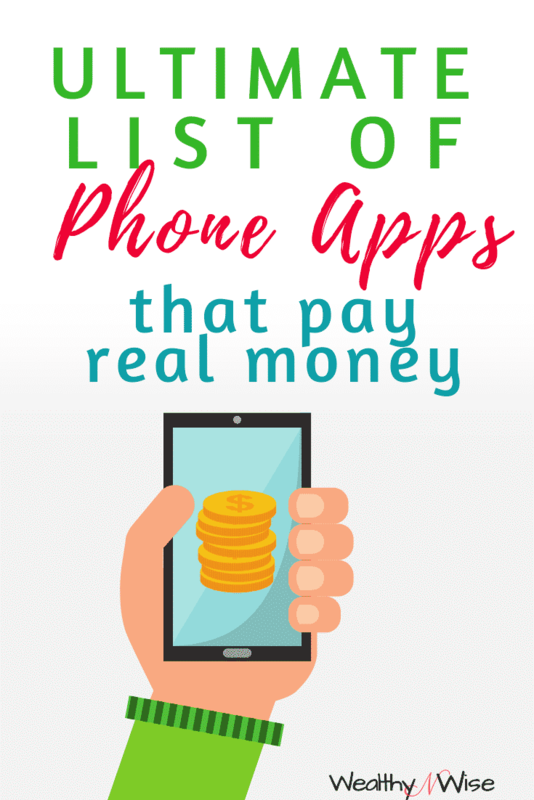 A comprehensive list of apps that pay YOU real cash! Enjoy! Do you know of another app that pays cash? Drop the details and you link in the comments below! Previous Post: « 4 Types of Toys that your Kids will play with for hours.